Today (April 21st) is the 200th anniversary of Charlotte Bronte’s birth. To celebrate, here is the text of a piece I wrote for a magazine, in 2012. This piece concentrates on the knitting sticks in the Bronte Parsonage Museum’s collection. As well as sticks, there are extant Bronte textiles, including knitted items. Recently, I was back behind the scenes at the Parsonage, with a new and very exciting – if poignant – piece of research, that takes a look at a piece of knitting done for Charlotte’s unborn baby, in 1855. This will be published very soon in ‘The Knitter’ – so keep an eye out for it! In the meantime, here is an article on some of the Brontes’ knitting sticks. …A knitting sheath, &c., to be fastened on the waist of the knitter, towards the right hand, for the purpose of keeping the needle in a steady and proper position…. ‘Ladies’ Handbook Of Knitting Netting And Crochet’, London, 1843, Jane Gaugain . For the past few years, I have been privileged to be let loose amongst the collections of knitted items and knitting paraphernalia of a number of museums. Nothing I have seen was quite so exciting to me, as the items I saw recently at the Bronte Parsonage Museum. I grew up about thirty miles away in another part of the old West Riding. ‘Jane Eyre’ is the first novel I remember reading, cover to cover, aged eight. By the time I sat O Level English – ‘Wuthering Heights’ was a set text – I had read every Bronte novel, and just about every book in print at that time, about the Brontes. (Not that my English teachers would have known it, as I was wordless in class). I was especially enthralled by Daphne du Maurier’s ‘The Infernal World of Branwell Bronte’ and Winifred Gerin’s biographies of Charlotte, Emily, Anne and Branwell. One figure in the story intrigued me, in particular, as she remained in the shadows. The Brontes’ mother, Maria. She died when the children ranged between seven to one years of age and having grown up motherless myself, I understood that. Almost everything the family owned – from Charlotte’s going away dress to the contents of the women’s work-baskets, was preserved and kept. Searching the Bronte Parsonage Museum’s online collection catalogue, I spotted several knitting sticks. And knew I had to see these in person. (ETA: Check out the catalogue with a search for ‘knitting sticks’, and you wil find them! I don’t have permissions to share the images here, but most are catalogued online). The most interesting stick in the collection, is the one that looks superficially, the least exciting, numbered H201:2. It is a simple stick of a coarser grained wood, like oak, that is 16.5cm long and has a comparatively deep hole for the knitting needle, which is 6cm deep. “Interesting” because it is marked “M.B”. It is likely this was “M.B” for “Maria Bronte” or “Maria Branwell” (Mrs Bronte’s maiden name). Sadly, as her initial didn’t change on marriage, that was no help with dating it, but I’d put it around 1800, looking hand turned, not machined. It’s provenance could be Penzance or Keighley – impossible to tell, but I’d lean towards it being from Maria’s native Cornwall, as the Yorkshire sticks, even ‘primitive’ home-made ones, tended towards the elaborate. Carved sticks – often initialled and/or dated – sometimes were a lover’s token. But might also be made by a brother, or friend. We have no idea if Patrick whittled this stick – but it is possible. We should also bear in mind “M.B” could refer to Maria’s eldest daughter, another Maria, model for the virtuous but fated Helen Burns in “Jane Eyre”. This stick is also interesting because it is so simple. Compared to most sticks in collections, it is almost unusually plain. No doubt it only survived as Patrick and the children would have treasured it, as something so personal to Maria and possibly in daily use; a familiar symbol of childhood. Maria Branwell was born in 1785, eighth of eleven children; daughter of grocer, property owner and tea-merchant Thomas Branwell of Chapel St, Penzance, and Anne Carne, a silversmith’s daughter. Branwell family names were to be recycled for the entire brood of Bronte children; Maria, Elizabeth and Charlotte being the three Branwell sisters’ names, and later the three Bronte sisters’. Penzance was a small but busy port with bonded warehouses and custom houses, concert and Assembly Rooms, bustling and lively. In Maria’s childhood, knitting would not yet be “the thing” for wealthy and middle class women; but the Branwells and Carnes were pragmatic Methodists; the young Maria and Elizabeth may well have heard Wesley preach in the 1780s when he was in Penzance. Later in life, Charlotte’s friend Mary Taylor noted Elizabeth Branwell’s gruelling charity sewing, and challenged her about it. Elizabeth Branwell said she “made her nieces sew, with purpose or without…it was not for the good of the recipients, but of the sewers. ‘It was proper for them to do it’, she said.” [Gaskell, 577]. Knitting was not mentioned, but we can infer it went on in the Parsonage, from the knitting sticks at the Parsonage Museum, and the two knitting needles from a “work-basket belonging to one of the Bronte sisters”. [HAOBP: H176:2 and 3]. The needles I examined had fine gauges, around 1mm-1.5mm, and one had a slight curve which would suggest it was used with a knitting stick. (Roughly old UK size 17 or 18). 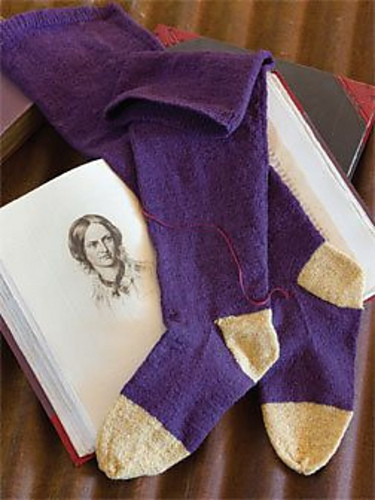 Middle class girls like Maria Branwell, in the 1790s would spend their knitting time making stockings – with a cast on of around 150 stitches on 1mm or finer needles. I have found mentions of the Retreat Lunatics’ Asylum in York at these dates, buying in “patent knitting needles” at 3d., for the patients to knit stockings. The Parsonage Museum needles have a slight sheen to them, the colour of oil on water, and it occurred to me these might be “patent”. The fact the faintly curved needle came from a work basket belonging to one of Maria’s daughters, suggests that the Bronte sisters knitted the old Cornish way, like their mother, using a knitting stick. Patrick’s own family in Ireland may well have knitted, too. Ditto Tabby Ackroyd, their Yorkshire servant. Knitting sticks aided speed, and also helped make knitting portable. It would be wrong to assume sticks were only used by production knitters and the working classes. Some very elegant sticks survive; silver and ivory. In fact, Maria’s silversmithing grandfather might well have made a few sticks in his time. Amongst the Parsonage knitting sticks are some finer ones H200 and H201; one made from a fine fruitwood, the other most likely oak; the first one’s hole would take a needle of upto 5.5mm in gauge, and was 5.5 cm deep; the second one had a pretty acorn turning, looked machine turned and had a shallower hole, only 2.5mm deep – ideal for smaller socks and stockings, and glove knitting. The relatively deep holes in three of the sticks suggest they may have been used with longer needles; anything between 8” and 14”; the dates are too early for any type of pullover knitting; so stocking knitting would be the most likely activity with slightly longer needles. 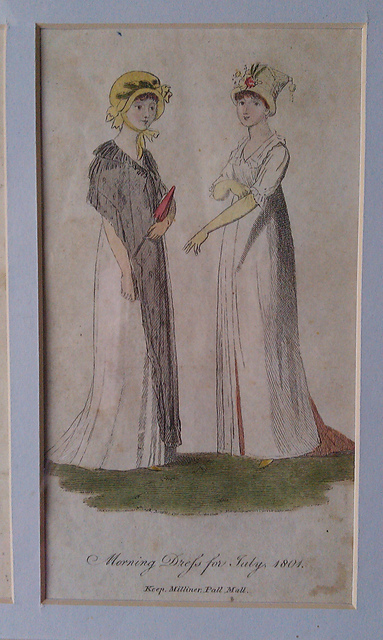 In 1790, Maria’s aunt, Jane Branwell married John Fennell, headmaster at the Wesleyan Methodist School in Penzance. Thomas Branwell died in 1808, and daughters Maria, Charlotte and Elizabeth were left an annual income of £50 each; brother Richard was left the property. In 1811, Richard also died, and this left the women in limbo. Charlotte Branwell married; Maria decided to go North and live with her aunt and uncle Fennell who were now running the new school for Methodist Ministers’ Sons at Woodhouse Grove, in the West Riding of Yorkshire. At this point, it is not known where Elizabeth went. It would be a mistake to think of 19thC Penzance as just a tourist spot. Cornwall was at the heart of some of the most intensive tin mining in the world. Amongst the more sedate ‘drawing room’ style wooden knitting sticks at the Parsonage Museum, are two tin heart shaped sticks. These heart shaped sticks were not unknown in Yorkshire – one can just about be seen on the little girl in George Walker’s 1814 engraving of Hawes knitters, in the Dales. Most of the Yorkshire ones I have seen are brass, not tin. It is entirely possible these two heart shaped sticks came from Cornwall, with Maria or, later, Elizabeth Branwell. Extant heart shaped sticks are often of a fancier design, than the two preserved at Haworth H210:2 has seven tie holes punched through it and traces remain of a tabby weave tape, 16mm width, that once held it on to the knitter’s belt. The hole depth of 5.5 cm is consistent with the wooden sticks’ holes. H210:1 is 11.5cm long, and the brass-necked hole has a depth of 6.5cm which would fit needles upto 5mm diameter. It has to remains of a brown tabby weave tape tie, only 8mm wide. 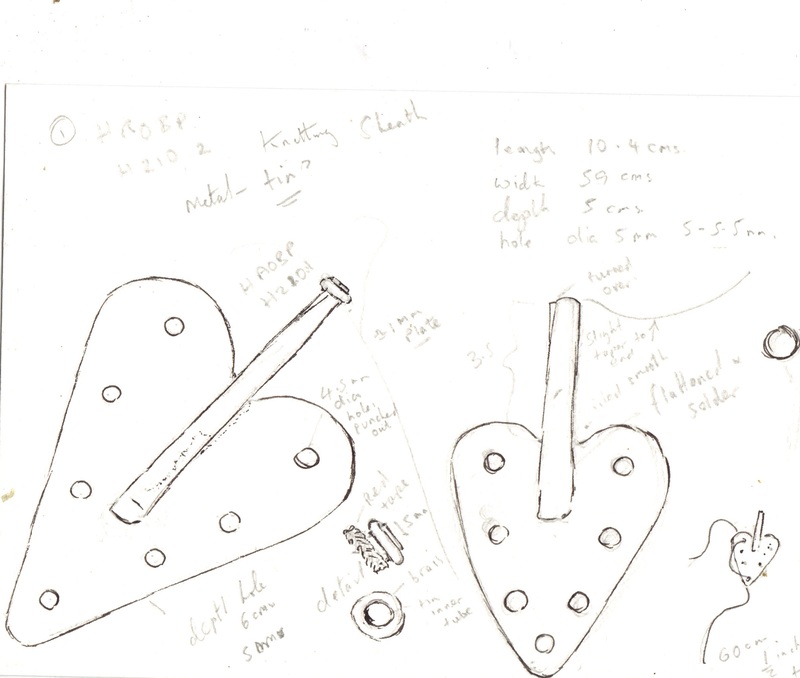 Both tin hearts are considerably more workaday style knitting sticks than the wooden ones. It is very likely they have an earlier 19thC date; and given that they are tin, more than likely they belonged to Maria and or Elizabeth Branwell. Although it is an intriguing thought that when the Bronte sisters sat down to knit, they may well have used any or all of the older generation’s sticks – very likely given the bent knitting needle in one of the younger women’s work-baskets. It is possible that when Maria – or later, Elizabeth Branwell – travelled to the West Riding, they had a knitting stick or two amongst their luggage. In 1812, the West Riding was in turmoil; Luddites had been hung at York, for breaking up textile machinery that was putting them out of work. Patrick Bronte was to carry a gun for the rest of his life, and occasionally – along with Emily, it is said – honed his skills with a bit of target practice. We shouldn’t underestimate the enormity of Maria Branwell’s move North, at the precise time the West Riding was at the epicentre of what looked like Revolution. Maria’s annual legacy would have given her some independence, but like many unmarried women, she still would have had a degree of dependency on male relatives. Helping with the domestic side of the school at Woodhouse Grove, would strike the right balance for her. It is interesting that she took this more pro-active role than sisters Charlotte and Elizabeth. Within weeks of her move to Woodhouse Grove, Maria had met Patrick Bronte, minister at Hartshead – then 35, at that time considered positively middle aged. Jane Austen’s ‘Persuasion’ (1817) describes a world where an unmarried woman of twenty-nine considered herself on the shelf. So the marriage would have been regarded as a ‘late in life’ one – as such, there was no real reason for a lengthy courtship. Patrick proposed on a day-trip to Kirkstall Abbey and he and Maria were married within months of meeting. “I suppose you never expected to be much the richer for me but I am sorry to inform you that I am still poorer than I thought myself – I mentioned having sent for my books, clothes, &c On Saturday evg about the time when you were writing the description of your imaginary shipwreck, I was …feeling the effects of a real one, having then received a letter from my sister giving me an account of the vessel in which she had sent my box, being stranded on the coast of Devonshire, in consequence of which the box was dashed to pieces with the violence of the sea & all my little property, with the exception of a very few articles, swallowed up in the mighty deep…” [Barker, 55-6]. 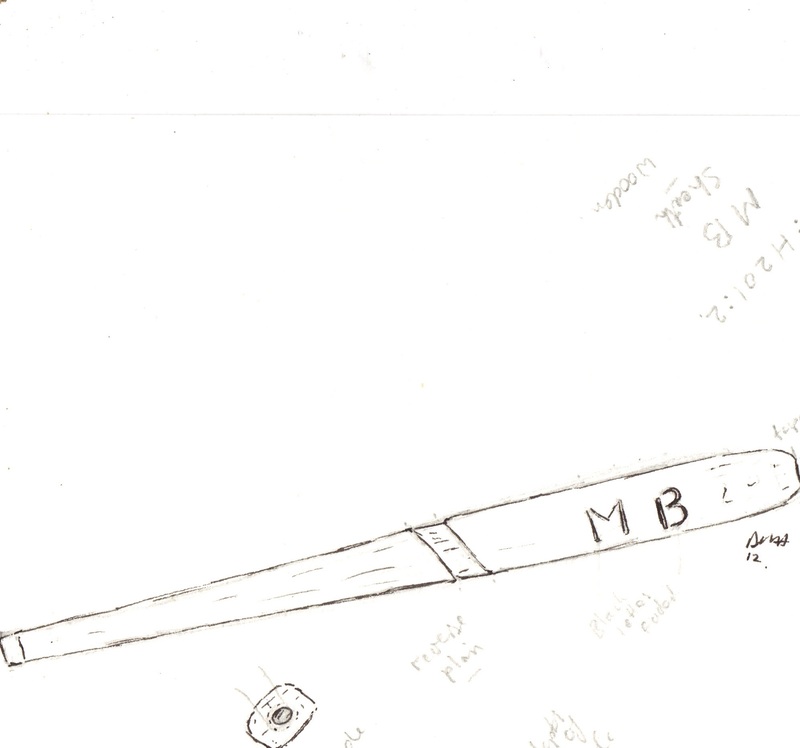 It is a poignant thought, that, if Maria’s “M.B” knitting stick is from her Penzance days, it must have been precious enough to have been with her, amongst the few possessions she’d been able to take to Woodhouse Grove, or else it was amongst the ”very few articles” salvaged from the wreck. Many Georgian women kept a huswife (container for threads, needles, scissors) and knitting stick with them. One or more of the extant knitting sticks may, or may not, have been with Maria already, in Yorkshire. Certainly the tin hearts and the simple stick marked “M.B” seem likely to have a Cornish provenance, to me – but they may also have travelled up later, when Maria’s sister, Elizabeth, came North. Knitting sticks weren’t immune to accidents. There is another wooden stick, H.211 which appears to have some damage (a small burn?) half a cm from its base. If a stick fell from your belt when knitting by the light of the fire, it might get that kind of damage. Maria’s letters to Patrick survive, and they betray a lively, engaging, active mind; but still Maria evades us and remains a shadowy figure; who had a Georgian kind of grace and wit , combining arch flirtation with piety. Writing to Patrick: “‘I firmly believe the Almighty has set us apart for eachother….may we, by earnest, frequent prayer, & every possible exertion, endeavour to fulfil his will in all things!’” [Barker, 55]. On the 29th December, 1812, Maria Branwell married Patrick Bronte, in a joint wedding ceremony with her cousin, Jane Fennell, who married a colleague of Patrick’s, Dr. William Morgan. The two ordained ministers took turns to be bridegroom, and officiating minister. Patrick Bronte was a remarkable man; unique in the 19thC, even. His life had taken an amazing trajectory, from birth in a two roomed cottage in County Down, to becoming a sizar at St John’s College, Cambridge; eventually becoming ordained. From Hartshead, the Brontes moved to Thornton, near Bradford, in 1815. Maria’s sister, Elizabeth, came to stay with her; a second daughter born that Spring, was named Elizabeth after her. In the six years 1814-1820, Maria gave birth to six children; Maria, Elizabeth, Charlotte, Branwell, Emily and Anne. The rigours of this took a toll on her health. The little family were not wealthy; Patrick’s living was a small one, and Maria’s annuity of £50 possibly kept them afloat. No doubt, Elizabeth and Maria put their knitting sticks to good use, as there would be endless baby stockings, caps and bed-covers to knit. Maria, who some biographers describe as a “bluestocking”, wrote “The Advantages of Poverty in Religious Concerns”, concluding that charity to the poor, their “instruction and conversion” should be the primary goal of the more privileged. We see echoes of sister Elizabeth’s zealous charity-basket, here. Not long after the birth of Charlotte, Aunt Elizabeth returned to Penzance and her place was filled by the charity school girl, servant Nancy Garrs. Nancy came from the Bradford School of Industry which, like most Yorkshire charity schools at that date, concentrated on giving girls the skills to be servants. Knitting and sewing would have been on the curriculum. Charity school girls were issued one huswif and one knitting stick per year, and paid for breakages. Left motherless, the Bronte girls would still have seen servants knitting in their down-time. (Nelly Dean brings along her sewing so her hands are busy whilst she narrates the goings-on at Wuthering Heights to Mr Lockwood). Living “a useful life” was a very Methodist concept, and Methodism continued to exert its influence in the Bronte children’s lives, long after Maria was gone, via Aunt Branwell. In April 1820, the family moved to Haworth. By January, 1821, Maria was seriously ill, probably with uterine cancer. 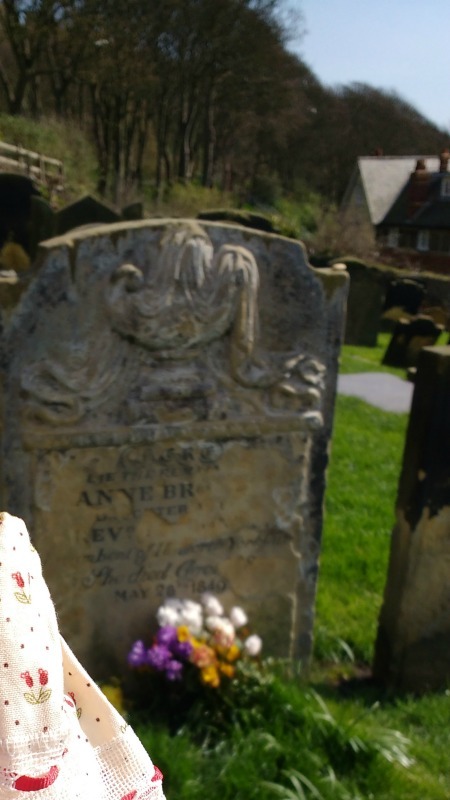 Elizabeth Branwell arrived from Cornwall, to take care of her sister and the six children and on 15th September, 1821, Maria died. Years later, Nancy Garrs remarked that in the final months of her life, Maria was deeply concerned with the fate of her children, but could only see them one at a time, or was overcome with grief. Patrick did the usual thing for a widowed man with young children, and after a respectable amount of time had elapsed, proposed to three women in short succession. All three turned him down. Elizabeth Branwell had intended to step into the breach temporarily – fully intending to return to Penzance in due course. When it became clear Patrick wasn’t going to find a new wife, ‘Aunt Branwell’ stayed, albeit reluctantly. It’s rather like a character from a lively town in a Jane Austen novel had stepped into the bleak landscape of ‘Wuthering Heights’. If Maria’s influence remained, it was a vicarious one, played out via her sister. Elizabeth Branwell is usually described by people who knew her in later life; eccentric, clinging to the Regency fashions of her youth; and her idea of the “education” of girls consisting of little more than the relentless charity sewing basket and “good works”. Four years after Maria’s death, her elder daughters Maria and Elizabeth died. Charlotte was now the oldest surviving Bronte sibling. For Emily, in adult life, home was to become the only place she could function, and Tabby was at the heart of it. Of the surviving Bronte children, only Charlotte and Branwell had vague memories of their mother, so Maria’s knitting stick, like memories of Tabby sitting knitting by the kitchen fire, may well have been a symbol of love, affection and that very 19thC icon; home. For Charlotte, knitting was at the heart of domestic safety. Knitting was home. The Brontes: Tales of Glass Town, Angria and Gondal, Ed. Christine Alexander, Oxford World Classics, 2010. The Life of Charlotte Bronte, Elizabeth Gaskell, Penguin, 1998 (originally published 1857). If you’re a descendant of the Lavelles/Lavells, of Ballyknock, County Mayo, do get in touch. I have something of your’s! Occasionally, at the local car boot sale, I find some lost genealogical treasure and often think it would be cool to re-unite it with its rightful owners. At the car boot sale, I found a lovely Victorian wooden box. Which I couldn’t afford. But inside it was this 1841 Census Return from the Public Record Office of Ireland and I had to have it, as the Lavelle (or ‘Lavell’ – it was spelled both ways on the form) family, Michael and Mary, were a weaver and a spinner. We got it, sans box, for a quid. If this is your ancestor, it is your’s for the asking. The Irish 1841 Census is a far more sophisticated and comprehensive thing than the British, that’s for sure. The document is damaged so not all legible. It is about the size of 4 A4 sheets so hard for me to photo the entire thing. Whereas the 1841 British Census just has a “Yes” or “No” tickbox for where born – whether in county or not – the Irish census has the county (like subsequent British ones did) but better still, records the person’s Educational level (Mary and Mary were down as “cannot read” – which would be true of most weavers here, too, at this date) and what is interesting to us is that this is a concrete record of weaving and spinning as a true cottage industry, as late as 1841 – which it would remain in the remoter parts of the UK, as well. The average Yorkshire spinner would have been in a manufactory for two generations or so, by 1841. Michael Lavelle was 55 in 1841; Mary 34 and they had a daughter Mary, aged just one. I have no knowledge of Irish genealogy but have gathered that census returns survive only erratically. So this may be a lucky find for someone. 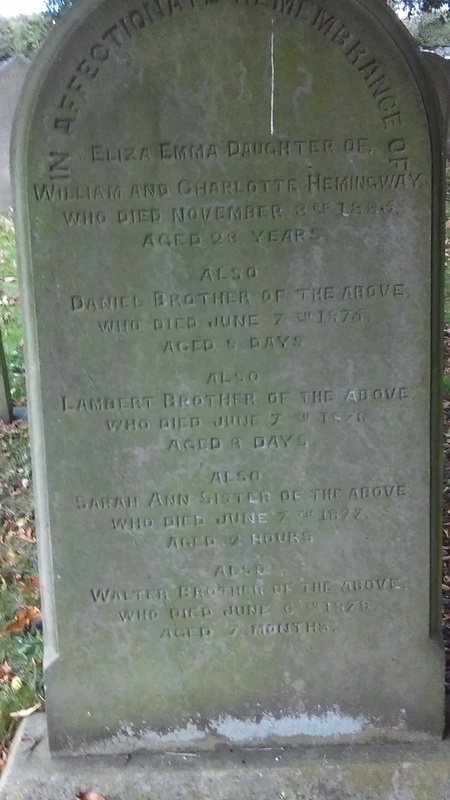 If you’re a genealogist with these names in your tree, do get in touch. And apologies for the truly awful photos. Unfamiliar camera, bad light, etc. This year, I’m Writer/Crafter in Residence at the Yorkshire Museum of Farming. So I’m starting a separate blog – we’ll have old farmhouse recipes from my farming families’ handwritten books (I have a couple of these); fascinating delvings into the archives of the Museum, and the occasional wander round the Museum’s exhibits, reserve collection, the hedgerows, and our little dye garden. The first post on Yorkshire Farming History might interest folk here as it’s about our Shepherd’s Hut. Rather than me re-hash it here, follow the link to find out more. And please do follow the new blog if you’re a fan of farming history anywhere, not just here in Yorkshire, as this is our shared heritage!